E-PAGE SeeBlue Pre-stained Standards are designed for use with the pre-cast E-PAGE Electrophoresis System. The standards consist of three blue-dyed and two colored bands ranging in size from ~21–261 kDa for monitoring gel and transfer runs. 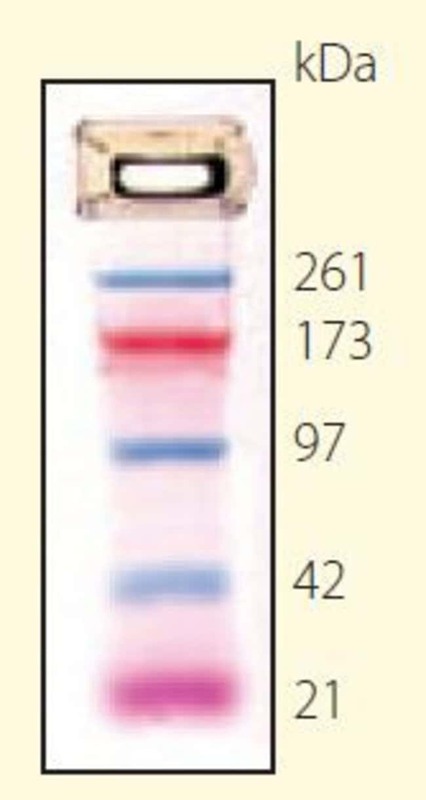 The protein standard is supplied in a ready-to-use format for direct loading onto gels; no need to heat, reduce, or add sample buffer prior to use.